Open to members only. Daily 7:00 - 3:00. In a former tea warehouse in the part of town where the City meets the East End you'll find another off-shoot from Soho House founder Nick Jones. This swanky £6.5m members-only bar/restaurant/hotel is home to media hipsters who want to see and be seen. With members willing to pay £700 a year to be part of the crowd and only 1,000 memberships available, exclusivity is key. The group's other 'houses' - Soho House, Babington House, The House in New York - all share the same cool, minimalist wood and glass interiors. Added extras this Shoreditch branch comes with include bowling alleys, cowshed spa, gym and, the biggest draw, a heated rooftop pool - where Calvin Klein bikinis are de rigeur, naturally. Shoreditch House clubs, bars, cabaret nights, casinos and interesting nightlife. What are the best dining options near Shoreditch House London? 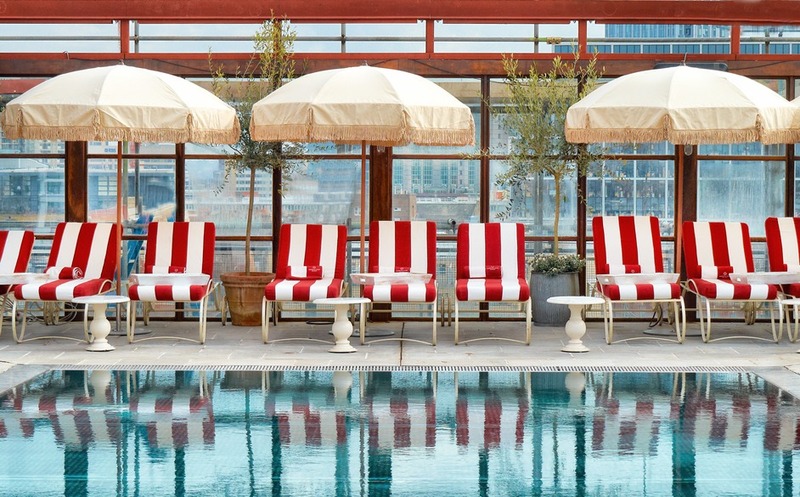 Shoreditch House gyms, sporting activities, health & beauty and fitness. The best pubs near London Shoreditch House. Where to have your meeting, conference, exhibition, private dining or training course near Shoreditch House. From cheap budget accommodation to luxury 5 star hotels see our discounts for Shoreditch House hotels, including Apex London Wall Hotel from 88% off.